Tribune-Review Staff reporter Bobby Kerlik can be reached via e-mail or at 412-320-7886. 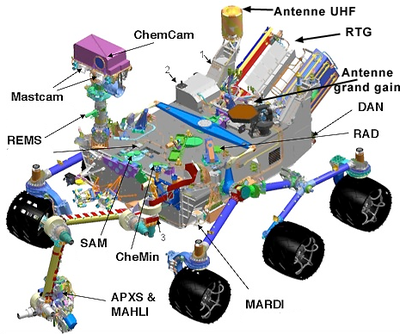 Graphic details facts and mission of Mars Rover. A University of Pittsburgh researcher plans to use a $1.12 million grant to improve the type of laser technology used on NASA’s Mars Rover. The method, called laser-induced breakdown spectroscopy, or LIBS, also can be helpful to the Department of Homeland Security, said Kevin Chen, co-principal investigator of the study.